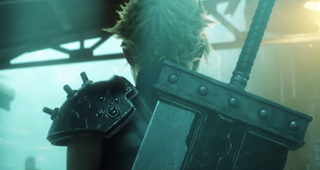 After years of asking, your Final Fantasy VII full remake dreams are coming true. It’s happening. And you can bet the internet has something to say about that. So did Square Enix’s stock prices shortly after the announcement was made. The game is heading to the PlayStation 4 first, but from the sound of it, this Final Fantasy VII remake won’t be out for a while. The game’s official release says that Square Enix has “begun production” on the title. Now, we have time to kill, comments to write, and reactions to make.